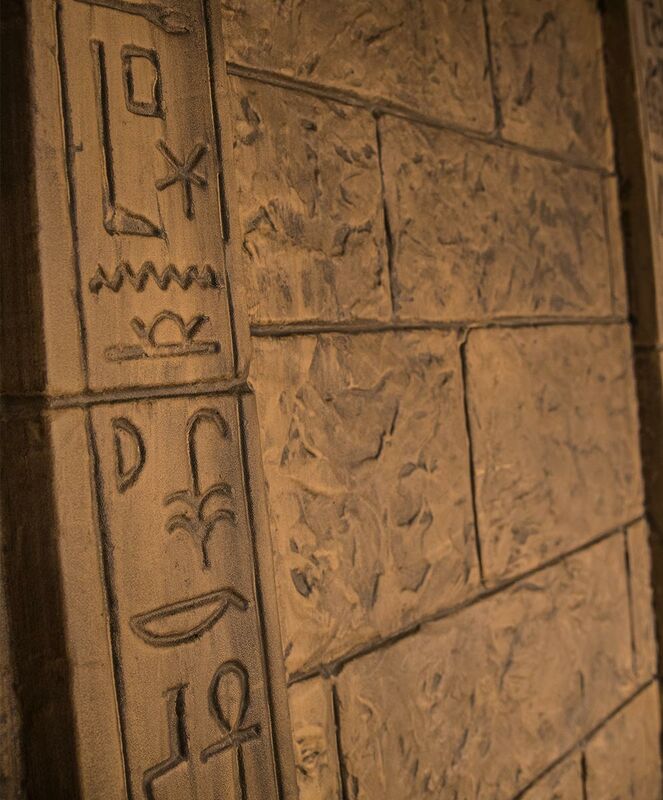 No Egyptian themed room is complete without King Tut himself. 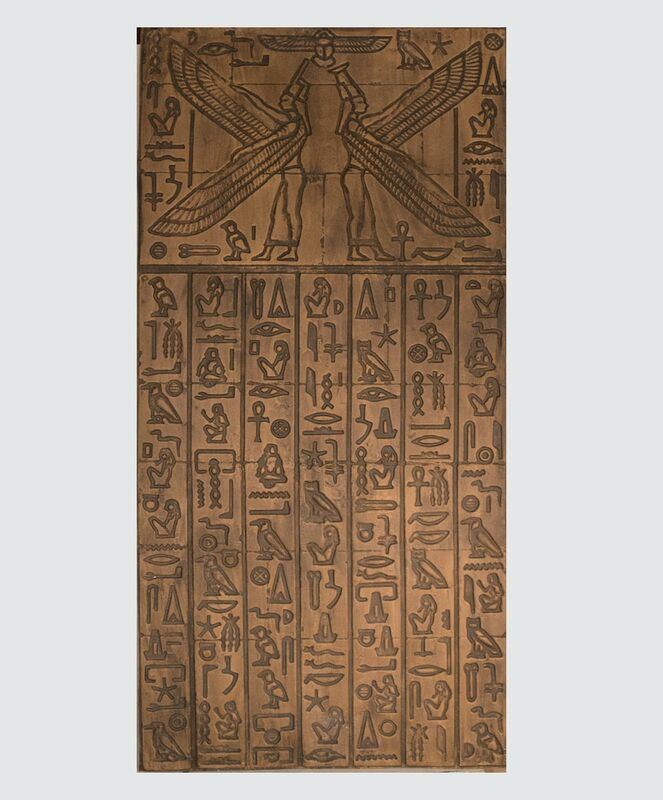 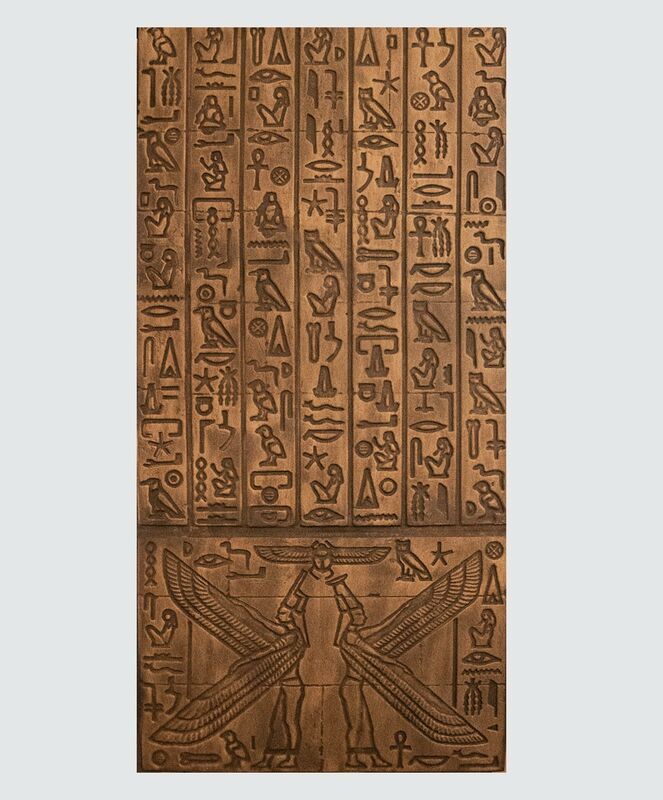 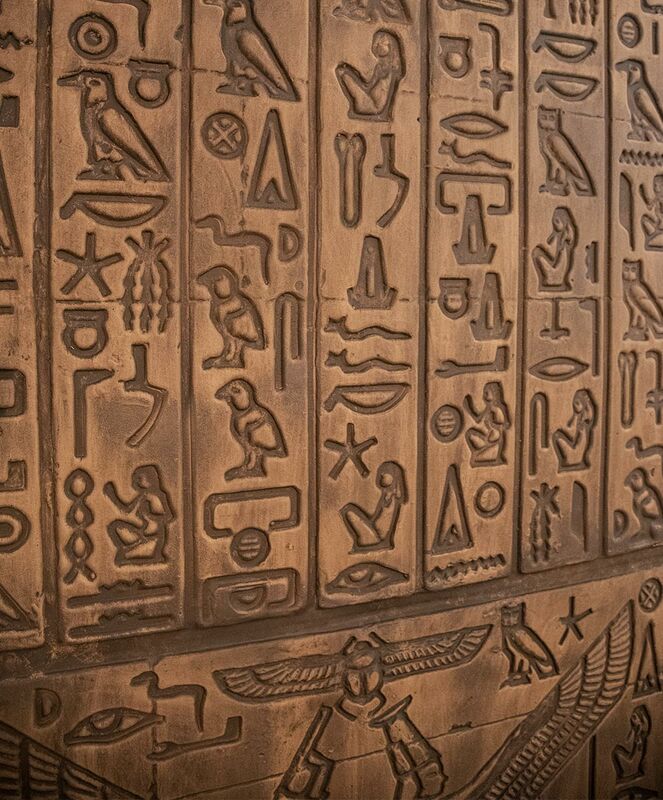 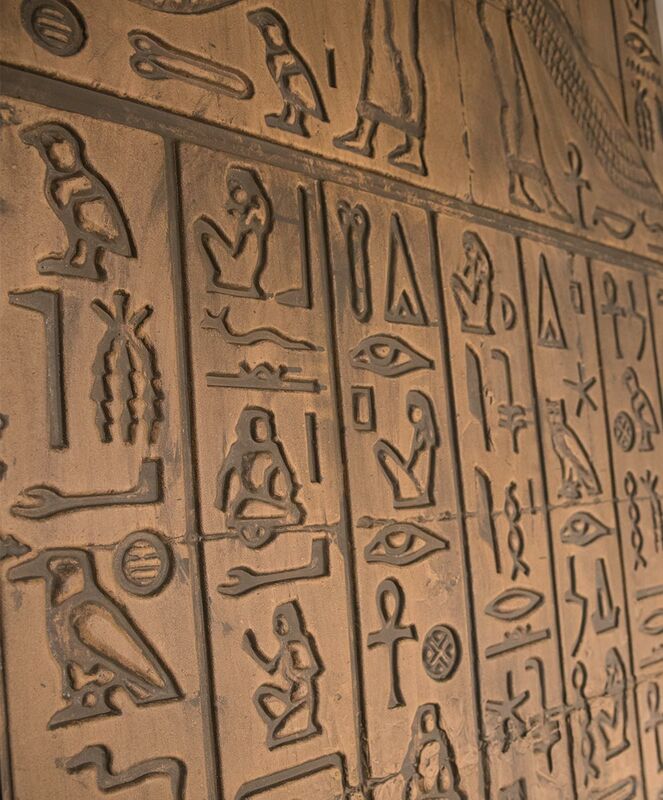 Our Tut vacuformed Egyptian walls with Hieroglyphs are perfect for theming your escape room, haunted house, restaurant or even your living room. 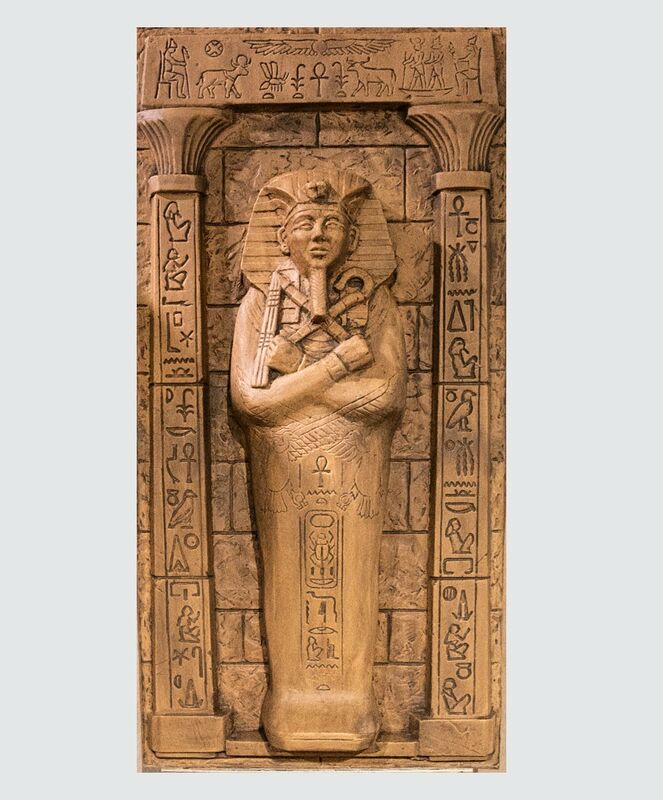 Cast in durable .090 ABS plastic with a depth from 1/4" to 12". 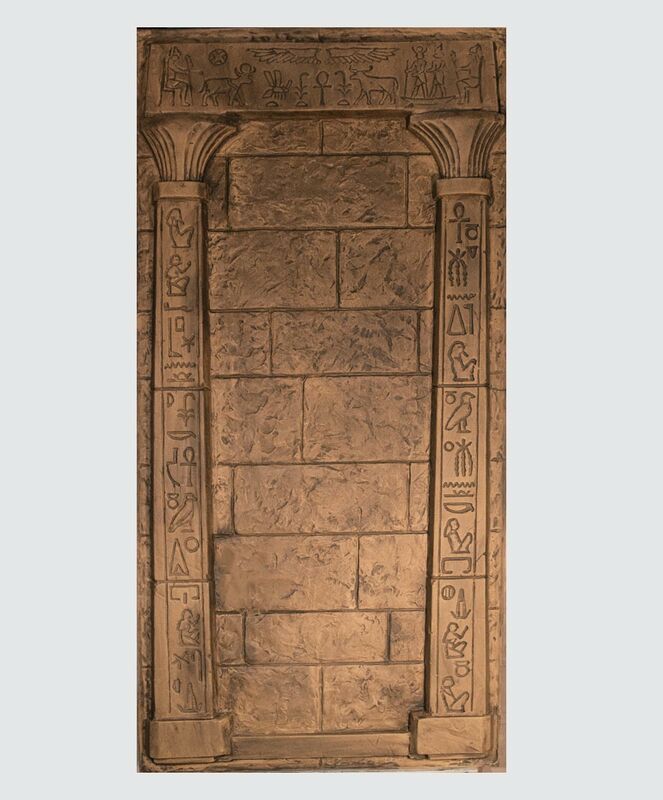 The tomb of King Tut in deep relief protrudes almost 12" from the surface of this ornate panel.